Sanibel Island, FL- Sundial Beach Resort & Spa will be hosting the 2018 USTA Southwest Florida Clay Court Championships, open to USTA members 18 and over. Slated for September 28-30, the USTA sanctioned event categories include Men’s and Women’s Singles, Doubles and Mixed Doubles for NTRP rated divisions 3.0, 3.5 and 4.0. Age divisions are Open, 30s, 40s and 50s. Players are invited to register with USTA Tennis Link using tournament ID# 150046618. Pricing is 59.63 first singles and 43.50 first doubles. Draws close September 26. Resort tennis information is available through tennis@sundialresort.com or by phoning 239-395-6037. With a long legacy of island tennis Sundial completed a total renovation of its six courts, installing new state-of-the-art HydroGrid facilities in Fall 2014. 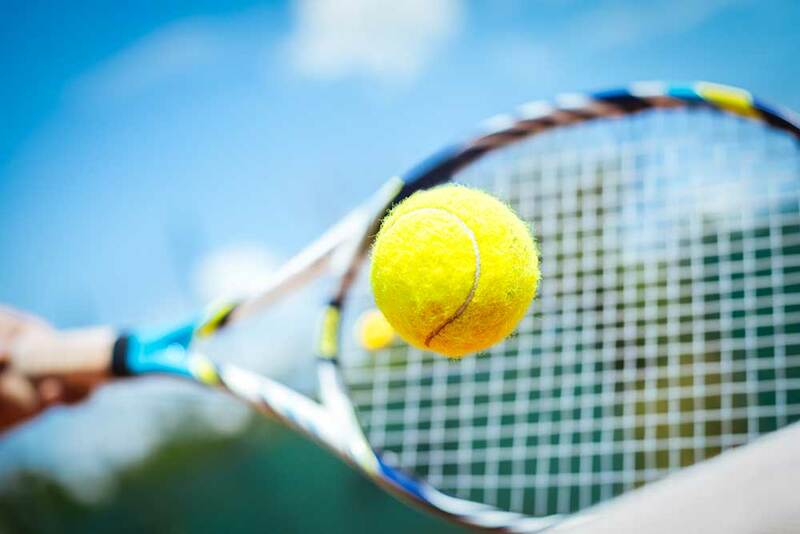 Resurfaced in July 2018, Sundial’s facilities are recognized area-wide and have repeatedly been voted the “Best Tennis” on Sanibel & Captiva Islands. Sundial Beach Resort & Spa is offering a special tournament rate of $199 for fully equipped Studio or Island Suite accommodations which include breakfast for two and waived resort fee. Room reservations may be made at sundialresort.com. Perfect for the active traveler, the resort features complimentary paddleboards, kayaks, bicycles and beach volleyball. The two-day tournament includes a Saturday evening party and trophies. Player gift bags will be provided by the Kay Casperson Lifestyle Spa & Boutique and player refreshments will be donated by Bailey’s Marketplace. Event sponsors include R.L.R. Investments, Royal Shell Real Estate, Port Sanibel Marina, Coastal Outfitters, Sanibel Captiva Community Bank, DeRomos Gourmet Market & Restaurant, R.S. Walsh Landscaping, Sanibel-Captiva Islander, and Meridian Group. Located near Fort Myers on the barrier island of Sanibel off the Southwest Florida Gulf Coast, Sundial Beach Resort & Spa is a unique island destination with miles of world famous beaches. Voted Best Staycation in Southwest Florida and Best Full Service Resort on the Islands for five years in a row, Guests select from spacious, fully equipped condominium-style accommodations in various sizes, complete with kitchen, living room and dining area. Directly on site are five restaurants with panoramic views of the Gulf of Mexico. Resort amenities include six HydroGrid® tennis courts, twelve pickleball courts, multiple heated swimming pools, organized activities, a state-of-the-art fitness center, Kay Casperson Lifestyle Spa & Boutique, Sanibel Sea School at Sundial, Bailey’s Marketplace and a nearby world-class golf course. Sundial Beach Resort & Spa features conference facilities with over 12,000 square feet of meeting space and outdoor venue locations. The resort and its pristine beaches serve as a perennial favorite for Florida resort weddings. For additional information, call 239-472-4151 or visit sundialresort.com.